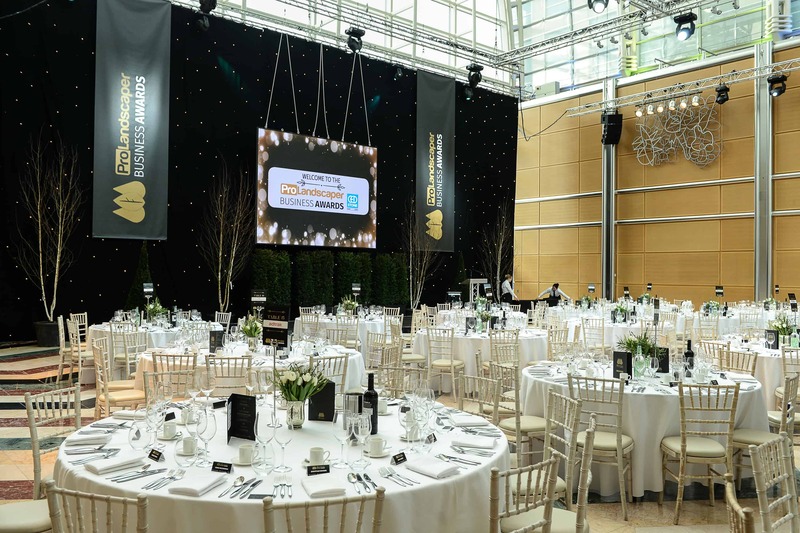 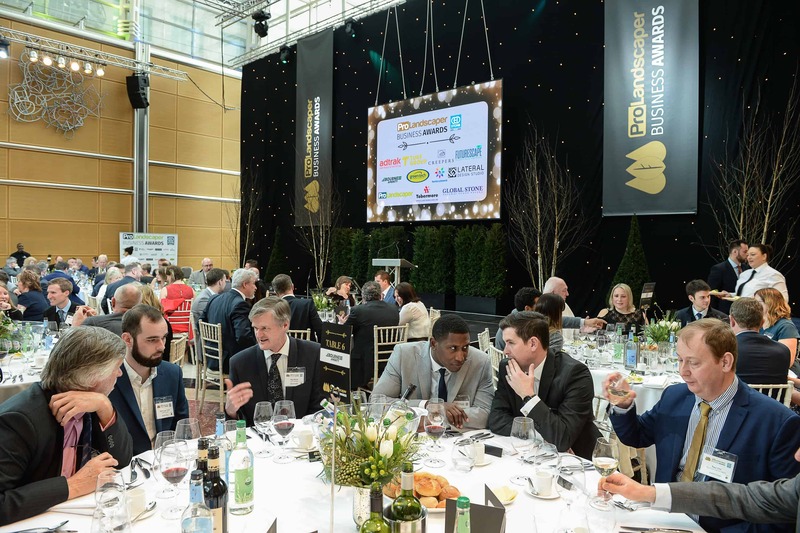 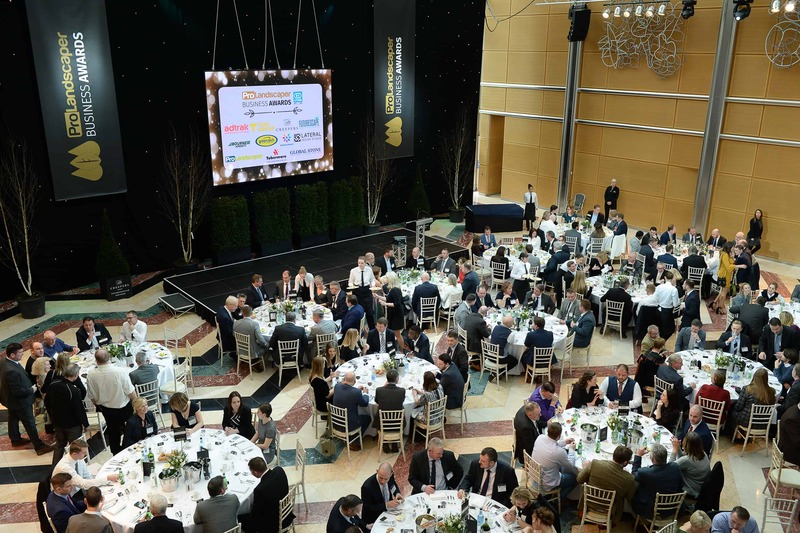 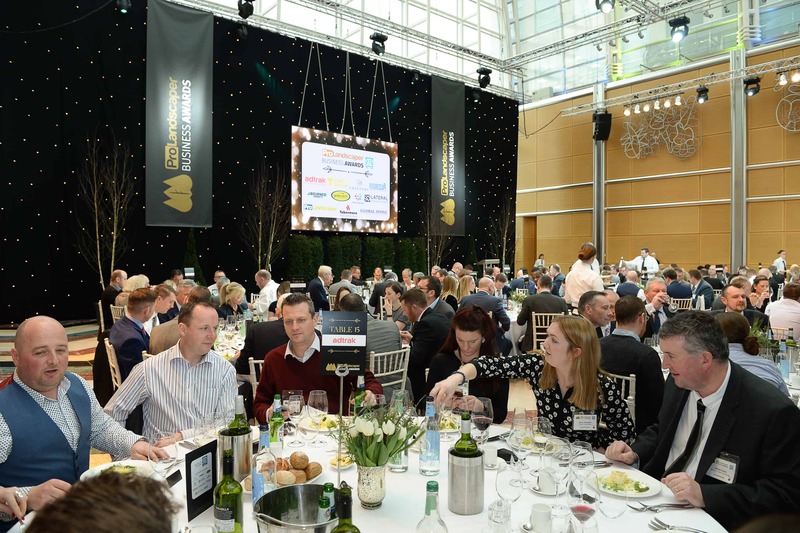 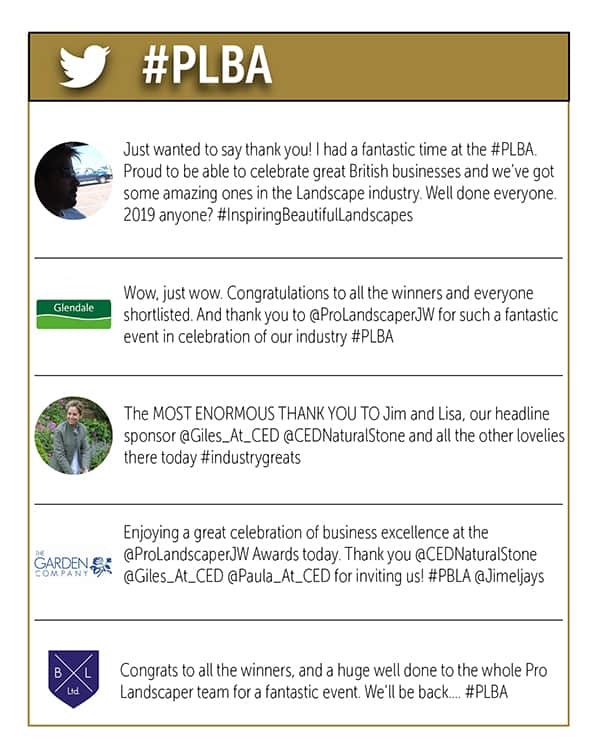 The ceremony, held at the stunning East Wintergarden in Canary Wharf started with an introduction and thanks from MD of Pro Landscaper Jim Wilkinson, and was followed by a three course luncheon. 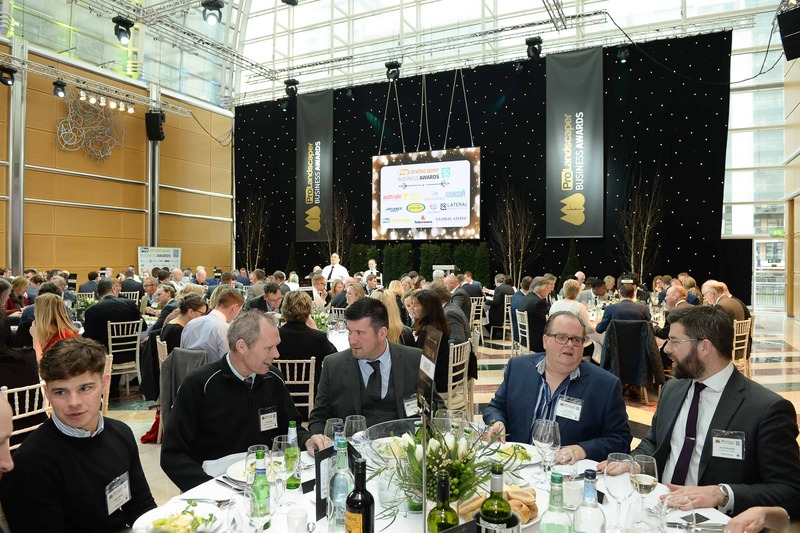 Then, the host for the day, former BBC business reporter Declan Curry spoke about the current state of the UK’s economy and what the future holds before he went on to the prizegiving for the eleven category winners, and the Sponsors Supreme Award, (presented by headline sponsor CED Stone Group’s MD Giles Heap), reading out the judges’ feedback before handing over to the sponsor to present the award. 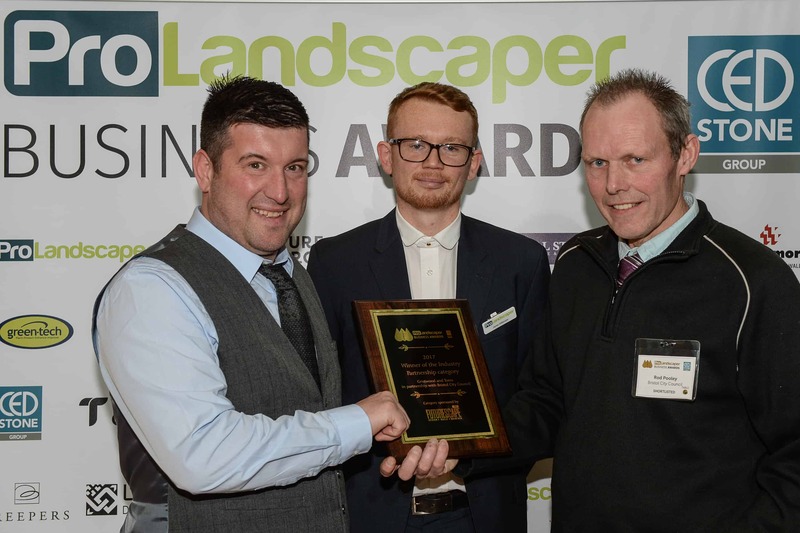 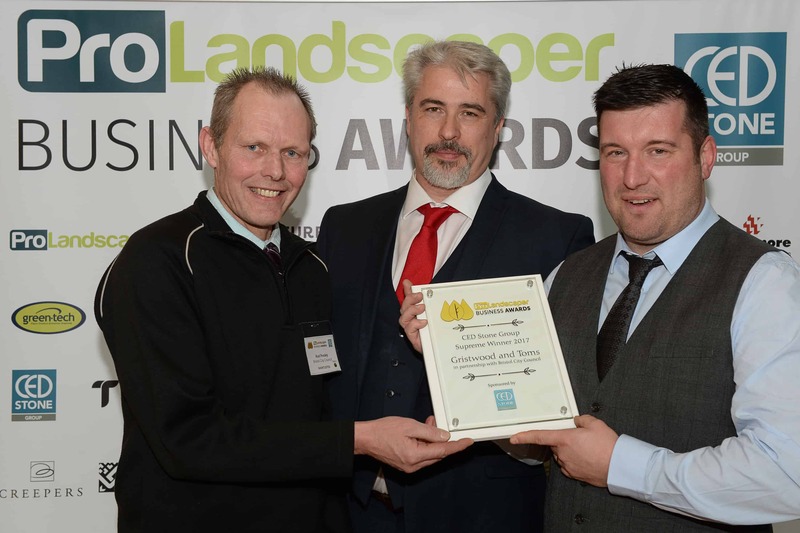 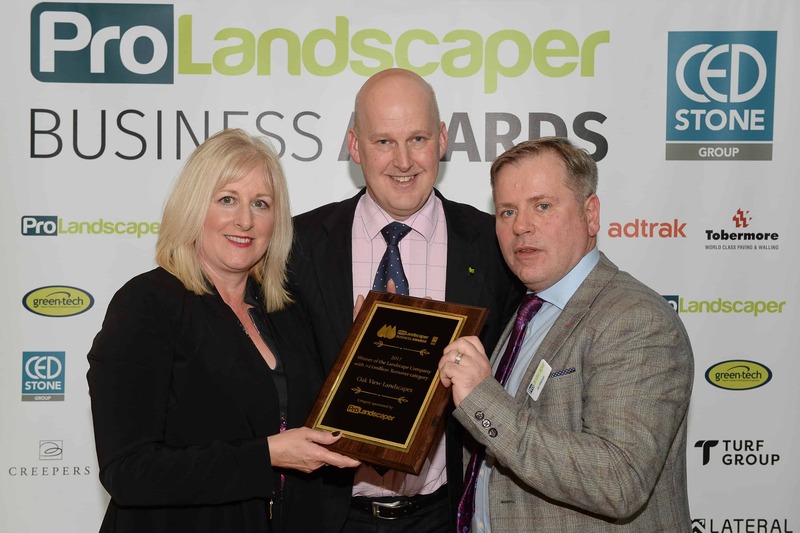 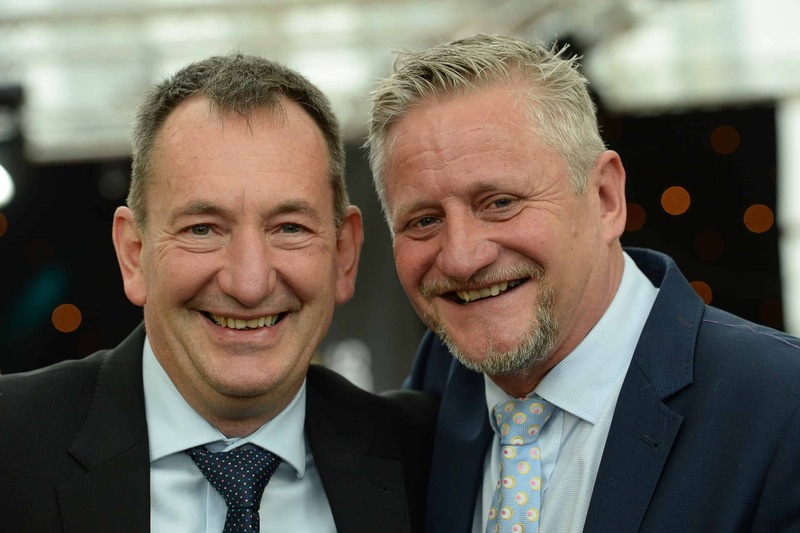 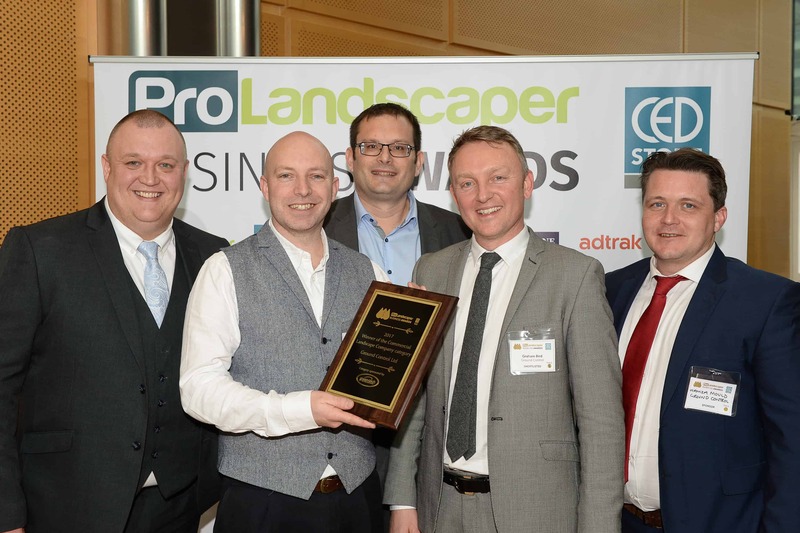 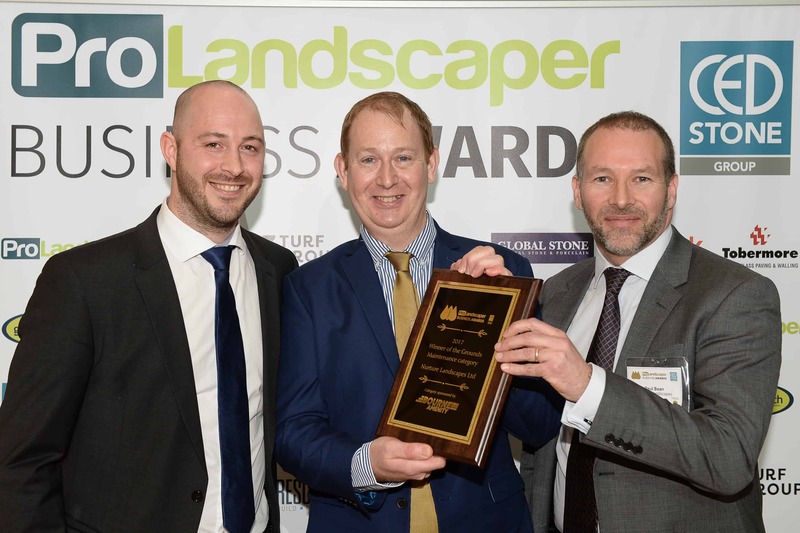 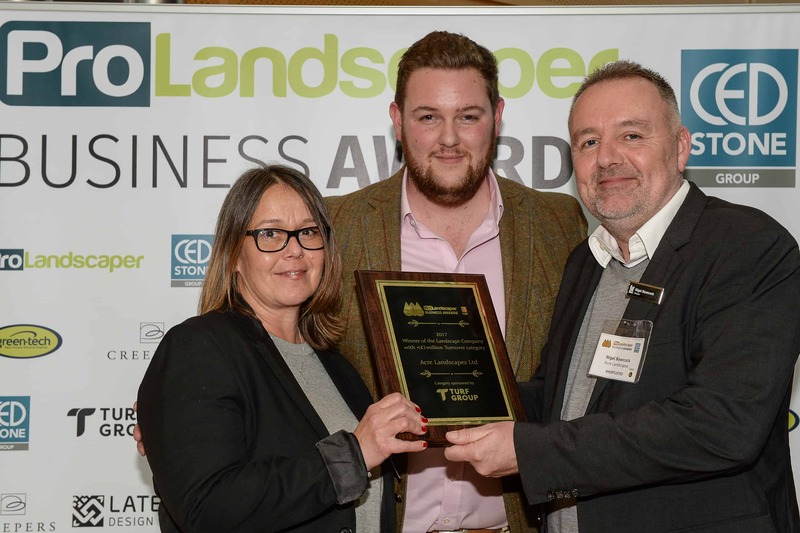 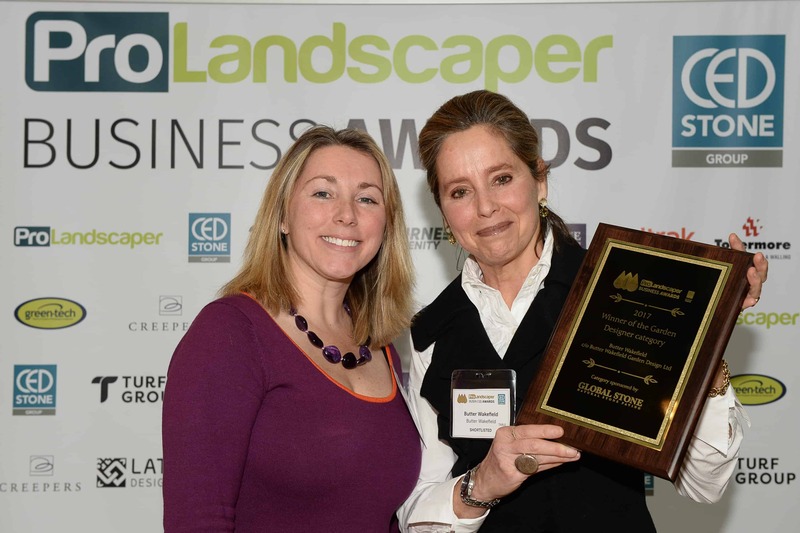 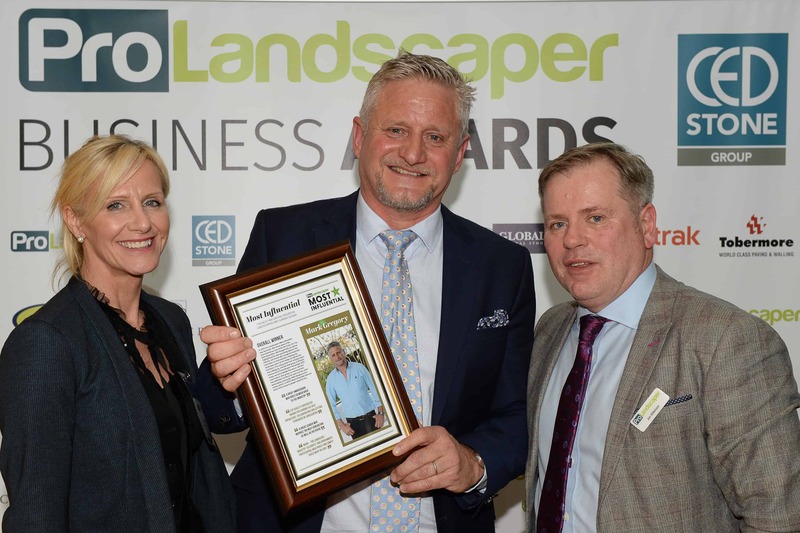 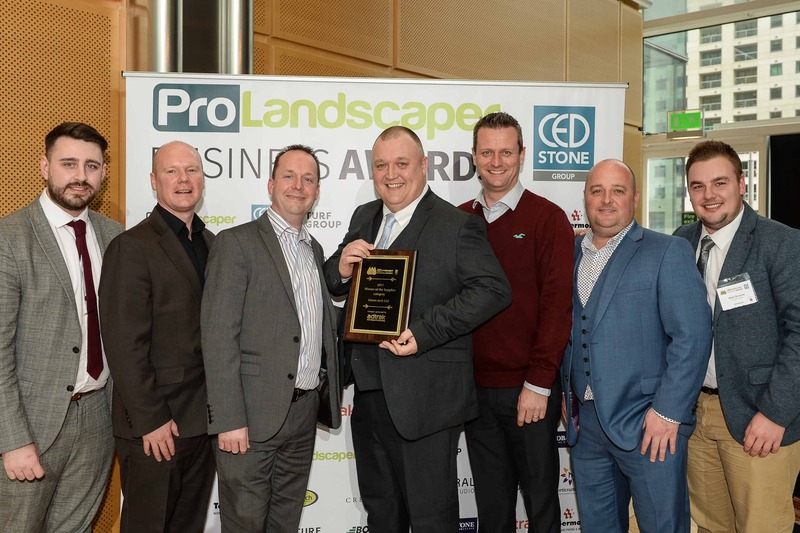 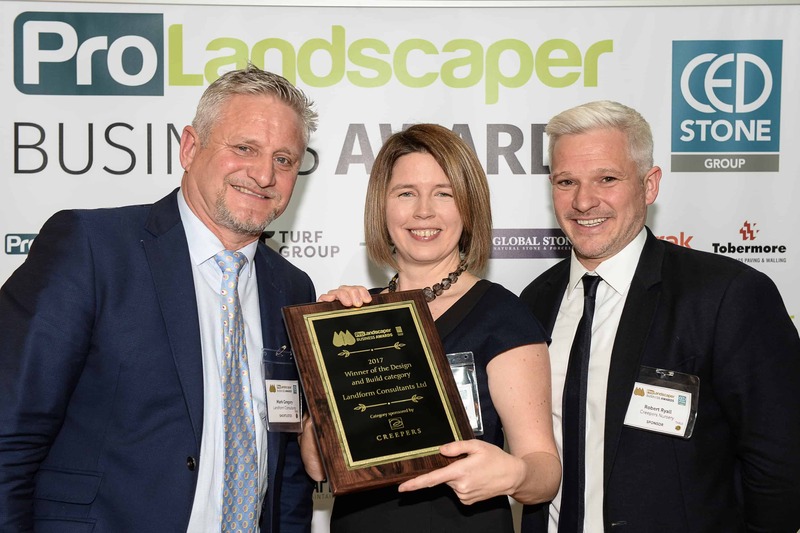 Finally, Jim Wilkinson presented Mark Gregory, MD of Landform Consultants with the award for having won most votes in 2017’s Pro Landscaper’s Most Influential. 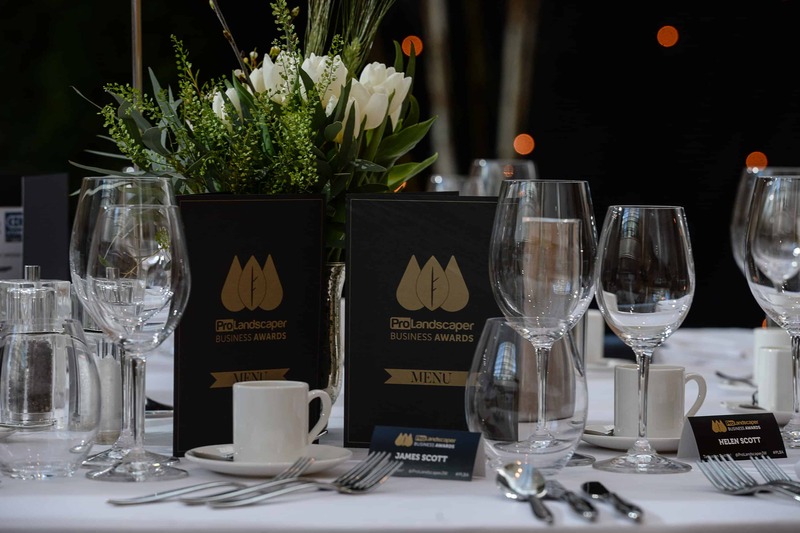 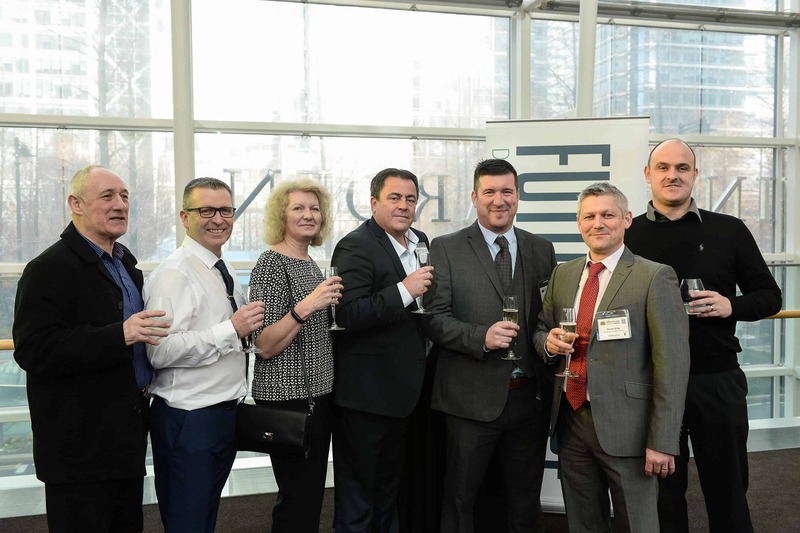 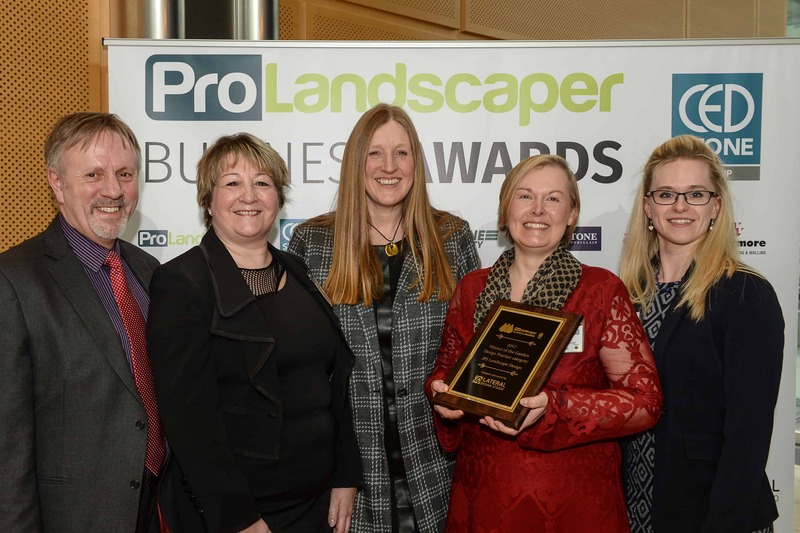 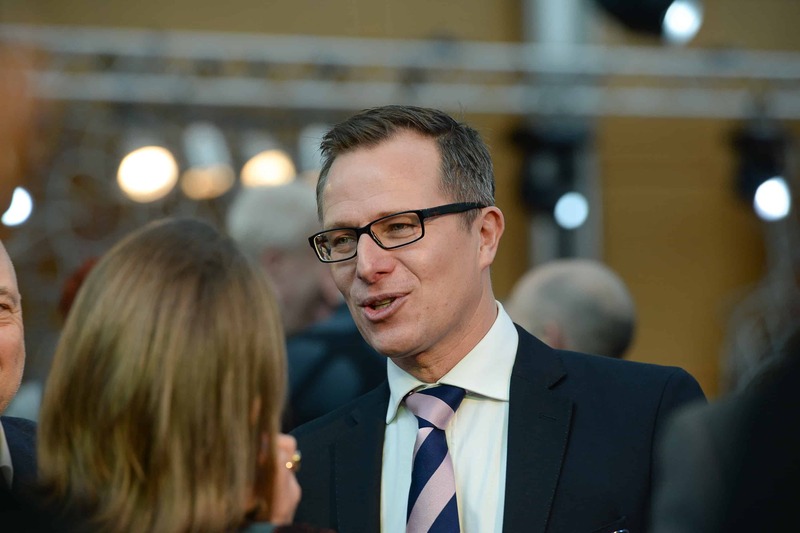 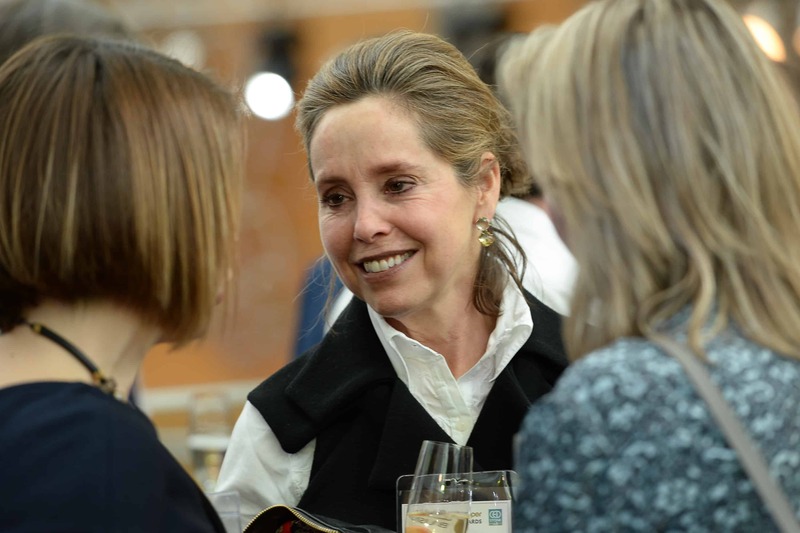 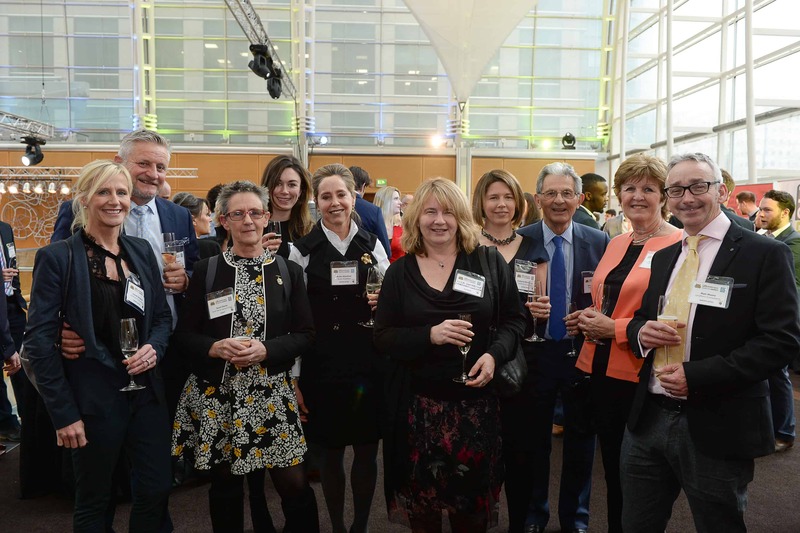 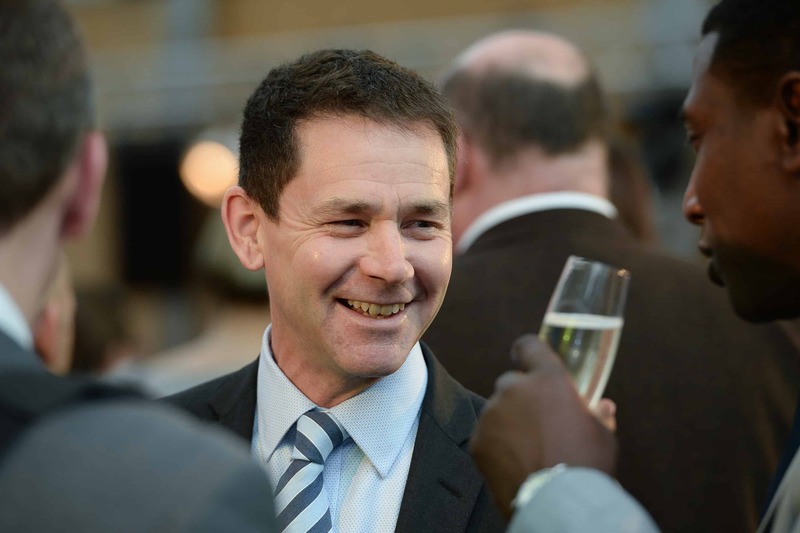 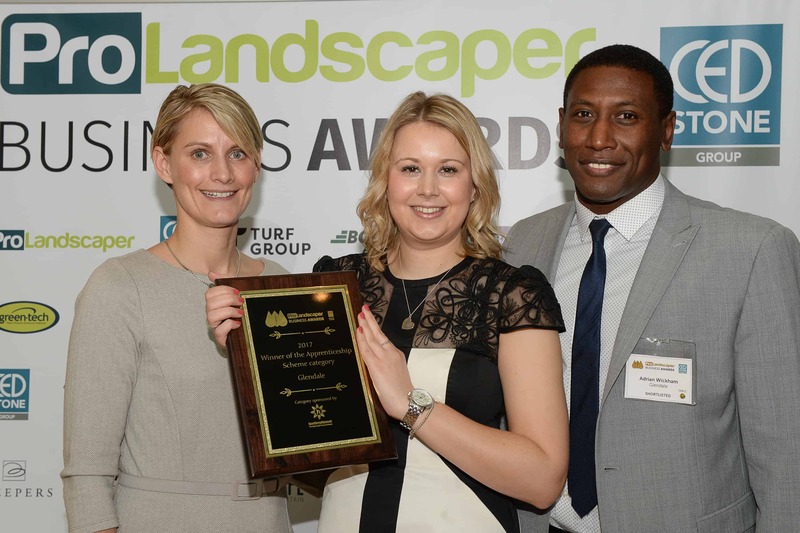 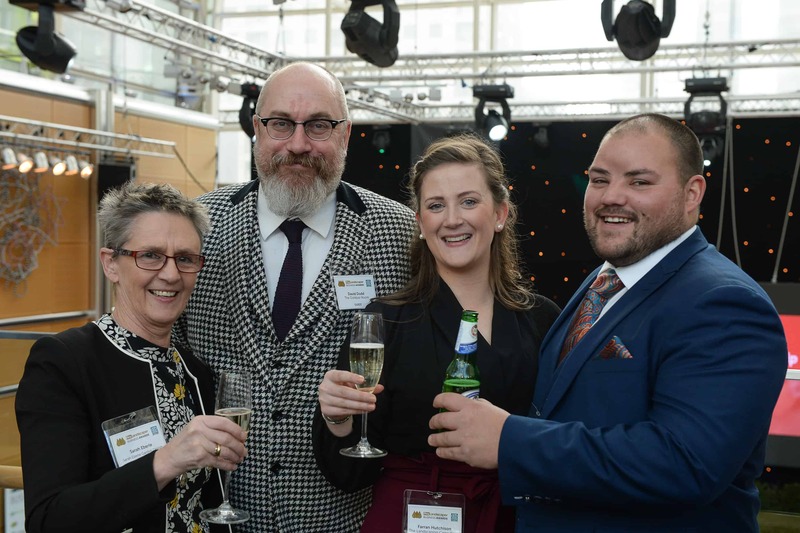 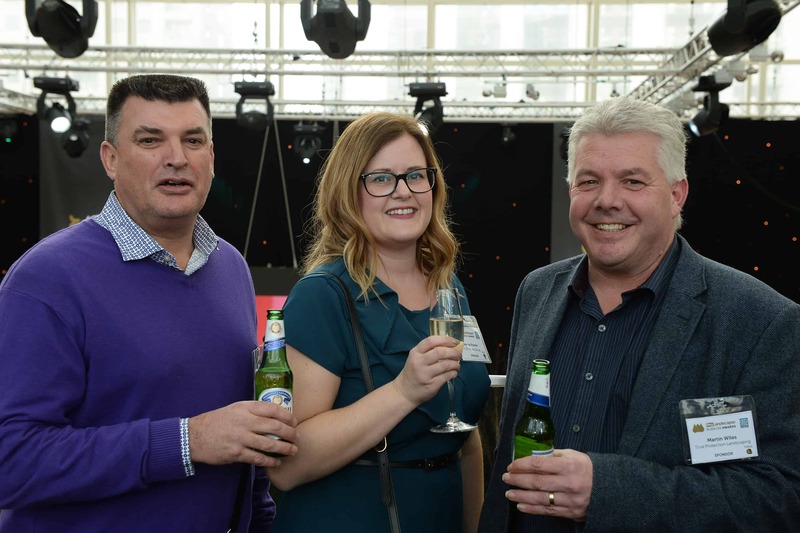 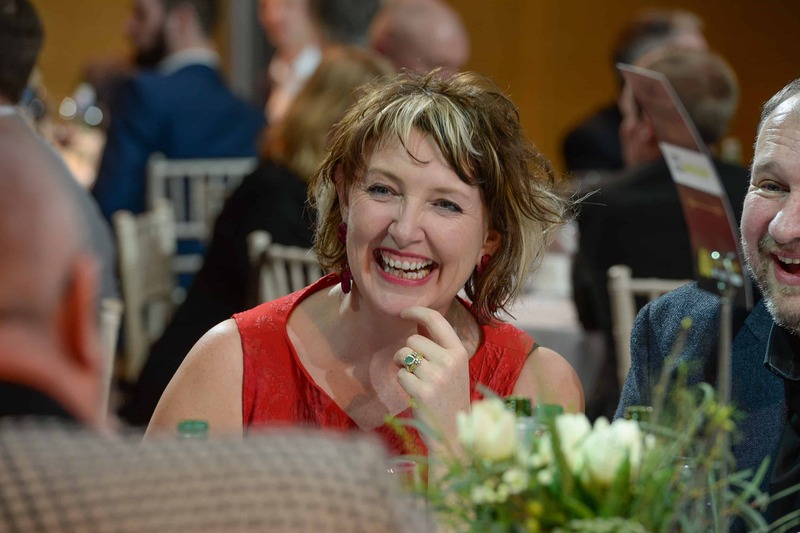 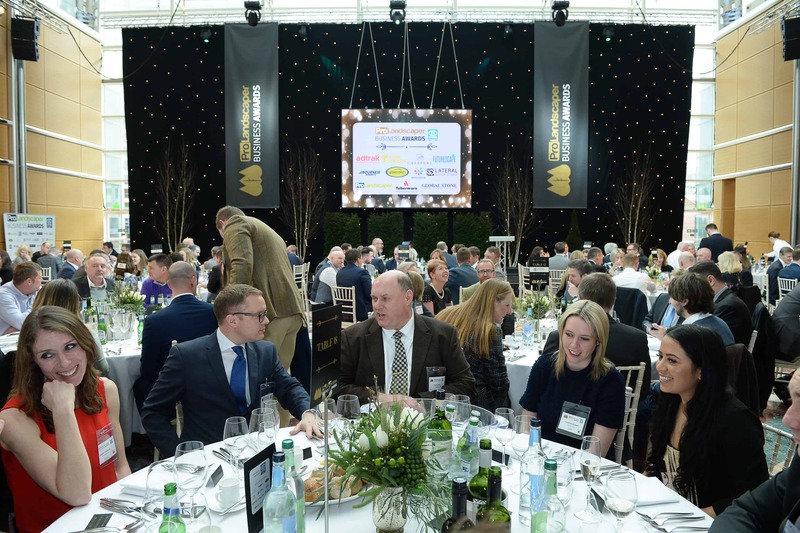 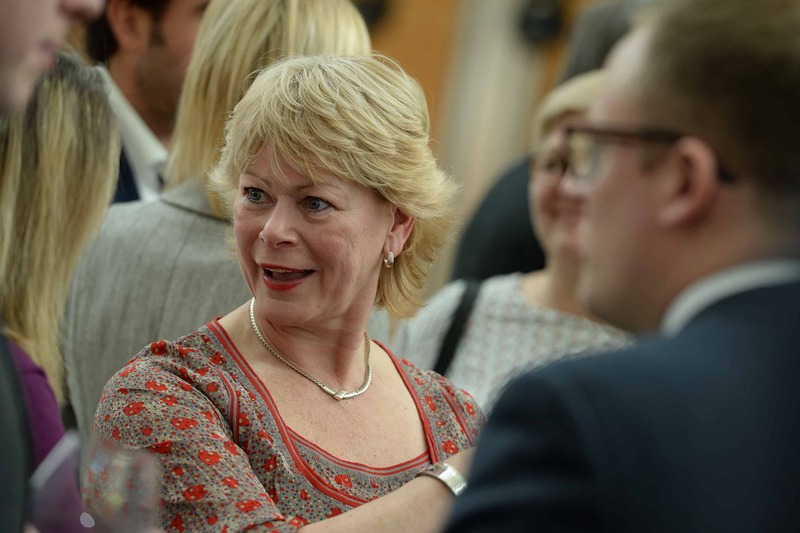 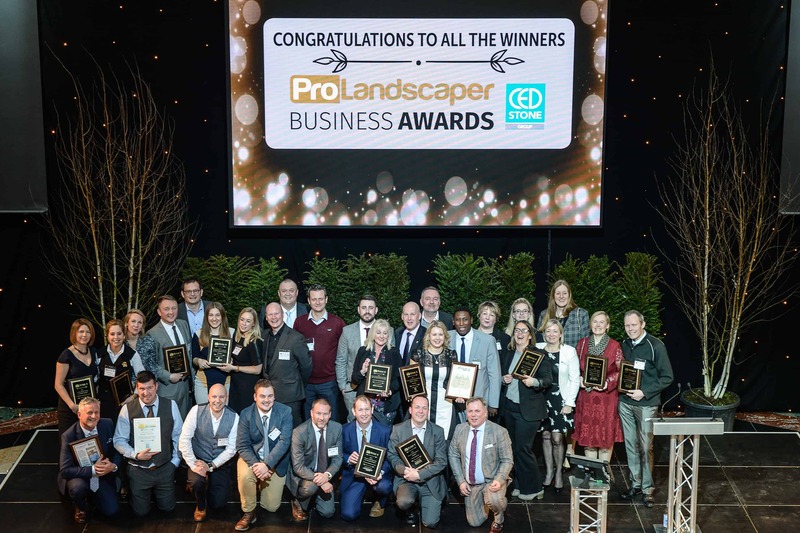 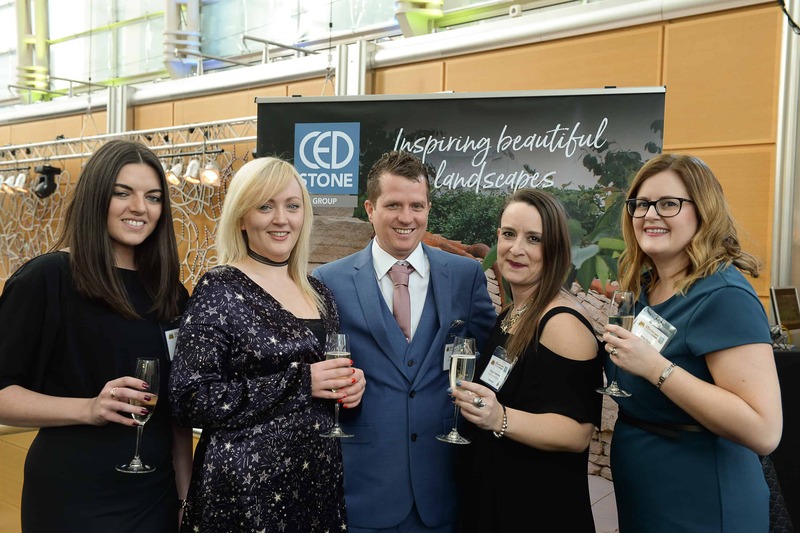 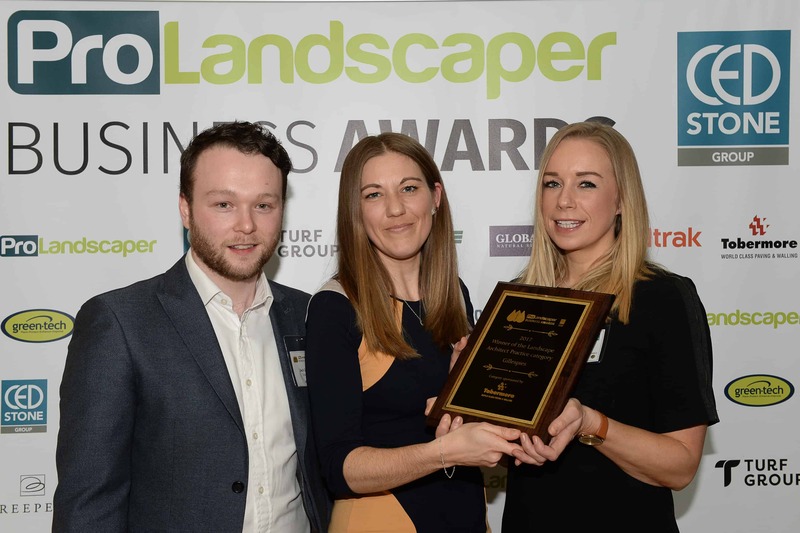 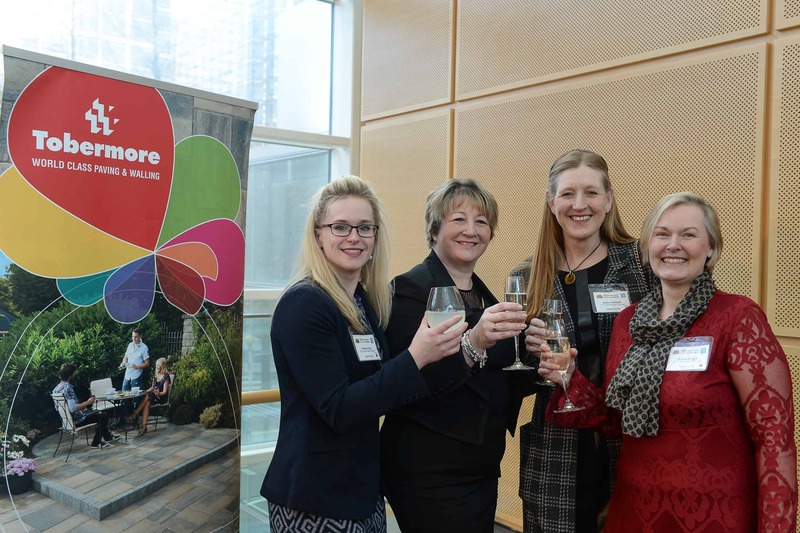 The judging panel for the awards was not only made up of people within the landscape industry, but also included those successful in areas such as marketing, HR, corporate social responsibility and business development. 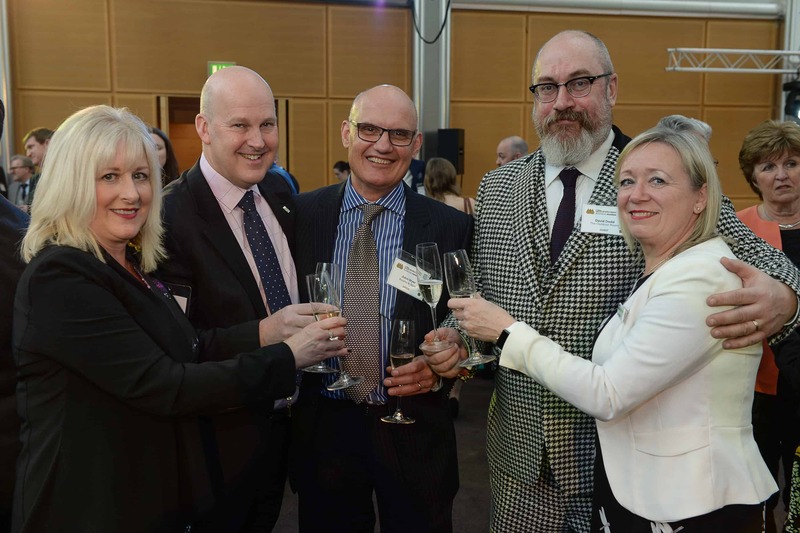 The panel, Richard Gardiner, John Wyer, Lynn Hunter, Ralph Collett and Sarah Curme praised the standard of the entries and found some categories a really close call.